Q1. 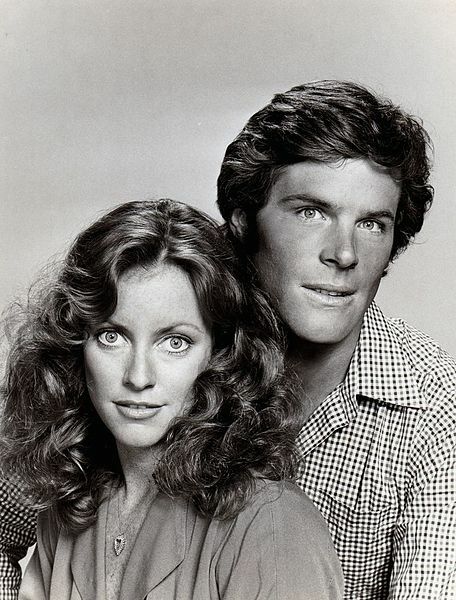 Which two actors/characters appeared on Knots Landing during every one of it's 14 seasons? Q2. Which of the original Knots Landing Seaview Circle cul-de-sac couples, were present in the very first episode of the first season and also at the end of the very last episode of the last season? Dallas (1978-1991) spin-off Knots Landing aired for 14 seasons, from December 27, 1979 to May 13, 1993, and was a favourite with baby boomer television audiences. The character of Gary Ewing (actor Ted Shackleford) on Dallas was the alcoholic middle son of the powerful Ewing family. In the Dallas back story, he was married (for a short time) to Valene Clements (actress Joan Van Ark) as teenagers and they had daughter Lucy (actress Charlene Tilton) before divorcing. When Lucy reconnected with Valene, Gary and Valene then reunited as a couple and Gary's mother bought them their house in Knots Landing. Below, a scene from Knots Landing with Ted Shackleford, Joan Van Ark, and Charlene Tilton. A follow-up two-part mini-series Knots Landing: Back to the Cul-de-Sac aired in 1997 and reunited the main characters, played by the original actors - Karen & Mack Mackenzie (Michele Lee and Kevin Dobson), Gary and Valene Ewing, Greg Sumner (William Devane), Greg's ex-wife Abby Sumner (Donna Mills), and another ex-wife, Anne Matheson Sumner (Michelle Phillips). The 2005 documentary special Knots Landing Reunion: Together Again, reunited many of the cast members, who shared memories about the show. Today each of the actors that played those characters are now septuagenarian senior citizens, with the exception of Ted Shackleford (age 69), and most of them are still acting (some more frequently/in larger roles, than others). Inside Edition's reunion promo below gives a teaser with Donna Miklls, Joan Van Ark, and Nicolette Sheridan. Baby boomer actor Alec Baldwin had his first "breakout" acting role on Knots Landing as preacher Joshua Rush, appearing in 40 episodes between 1984-1986. Soon after he started getting big-screen movie roles. One of the original young cul-de-sac couples - Kenny (James Houghton) and Ginger Ward (Kim Lankford) - exited Knots Landing in the 1983 season. James Houghton retired early from acting and turned to screenwriting after penning some script for Knots Landing. He was a Daytime Emmy Award-winning screenwriter for TV soaps The Young and the Restless from 1991-2006, and The Bold and the Beautiful (2006). Kim Lankford left film acting in 2000 but has recently returned to TV and movie screens in small roles. Michelle Phillips was better known for her singing as part of the 60's hippie group, The Mamas & The Papas, and a brief 8-day marriage to actor Dennis Hopper, when she landed the acting job on Knots Landing. With 344 episodes over 14 years, Knots Landing shone the lime-light on many former and future big-screen and television stars, too many to mention them all here. Actresses Michele Lee and Donna Mills were like oil and water onscreen as sisters-in-law and battling neighbors Karen Fairgate Mackenzie and Abby Fairgate Cunningham Ewing Sumner. Below, a (German) trailer for the early seasons of Knots Landing which featured Knots Landing co-stars Michele Lee, Constance McCashin, Donna Mills, Joan Van Ark, John Pleshette, Ted Shackleford, Don Murray, and special guest Larry Hagman. A1. 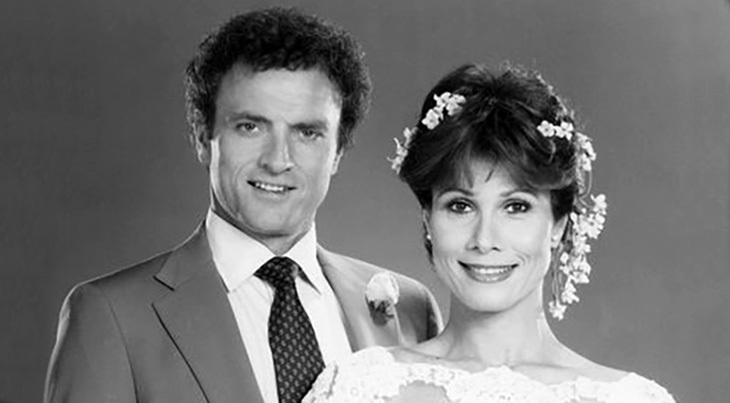 Actress Michele Lee (Karen Cooper Fairgate MacKenzie) was in all 344 episodes of Knots Landing, followed closely by actor Ted Shackelford (Gary Ewing), who appeared in 336 episodes during the show's 14 year run. A2. The short answer is: Gary and Valene Ewing were the only original Seaview Circle cul-de-sac couple that were in the very first and very last episode. Gary and Valene Ewing, Sid (played by Don Murray) and Karen Fairgate, Richard and Laura Avery (played by John Pleshette and Constance McCashin), and Kenny and Ginger Ward (played by James Houghton and Kim Lankford) were the 4 couples living in the cul-de-sac in the first episode of the first season. By the end of the 2 hour finale episode in Season 14, the cul-de-sac residents consisted of two newly reunited couples - Gary and Valene Ewing, Mack and Karen MacKenzie (Karen's first husband Sid was killed off in 1981) - as well as single divorcee Abby Cunningham Ewing Sumner (Abby was divorced from Jeff Cunningham when she moved to the cul-de-sac, then married and divorced from Gary Ewing, then married and divorced from Greg Sumner), and Greg Sumner (Greg married Laura after she and Richard divorced; after Laura died in 1987 he then married and divorced Abby; and at the end of the show, Greg is getting divorced from 3rd wife Anne Matheson so he can be with his on-off true love Paige Matheson, Anne's daughter (Nicolette Sheridan).